Located in Michigan’s Upper Peninsula just three miles north of the Wisconsin border, Covenant Point is 140 miles northwest of Green Bay, and 340 miles north of Chicago. 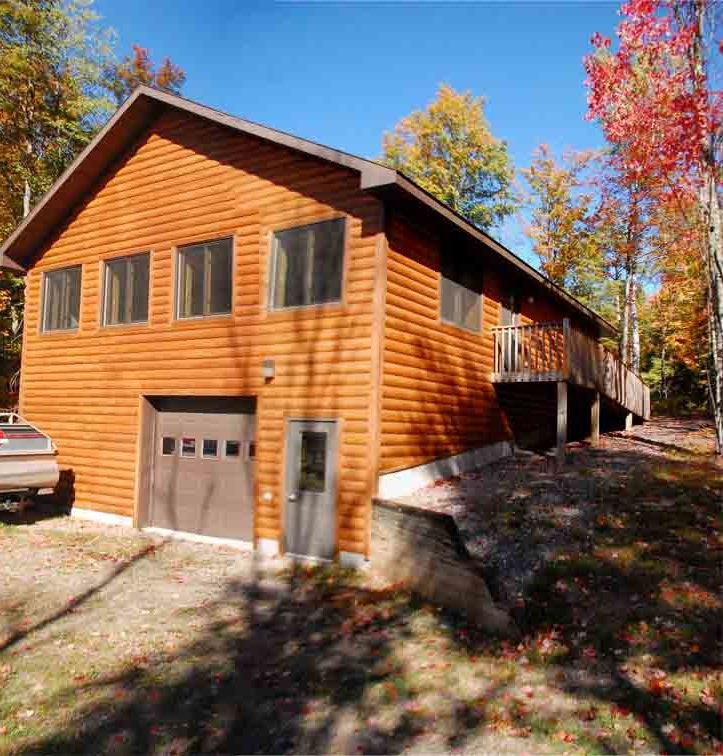 Adjacent to thousands of acres of Ottawa National Forest, Covenant Point is close enough to make a weekend trip worthwhile, and far enough to be a truly set-apart wilderness experience. The mainland area is a thirteen acre peninsula on beautiful Hagerman Lake – a spring-fed, 585 acre lake that we enjoy year-round. Our “Back 40” wilderness area is largely undeveloped, but is home to our high and low ropes courses, and our Nature Center. Our eight-acre Island sits one mile off our mainland shore, (yes, it’s truly an island), and serves as a truly unique wilderness setting for youth camps. Our dining hall can house up to 180 people comfortably. Food is a priority at Covenant Point, we take extreme care in preparing home-cooked meals for our guests so that they can enjoy good meals together at table together. 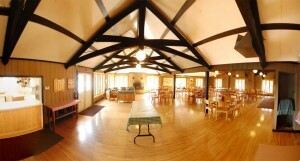 Lindstroms Landing is a beautiful meeting space on the bay of Hagerman Lake. With comfortable space for up to 40 people it is used throughout the year for summer camp, rental and retreat groups, and corporate meetings. The tab is our main worship space, it seats up to 250, and allows us to play games, hear meaningful messages, and worship God through song all under the same roof. Having a space that encompasses these three activities helps us fulfill our core value of Stillness and Silliness in a significant way. 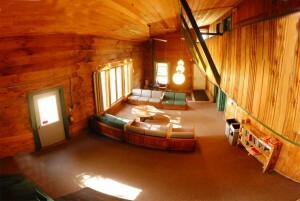 With four rooms, Pine has a maximum capacity of 40. The two outer rooms have 12 beds, inner rooms have 8 beds, and two bathrooms to allow the building to simultaneously accomodate four cabin groups, families, or rental groups with males and females. Aspen and Birch lodges are two identical, 24 person, buildings located on the periphery of our “Big Field”. Each building has two 12 Bed rooms with a bathroom and shower for each living space, and a shared lounge in the back of the building with a fireplace. Cedar houses 40 guests. With four rooms of 10 beds, each with their own shower and bathroom, a common lounge in the middle, and an indoor climbing wall, Cedar is perfect for cabin groups, family camp, or rental groups throughout the year. 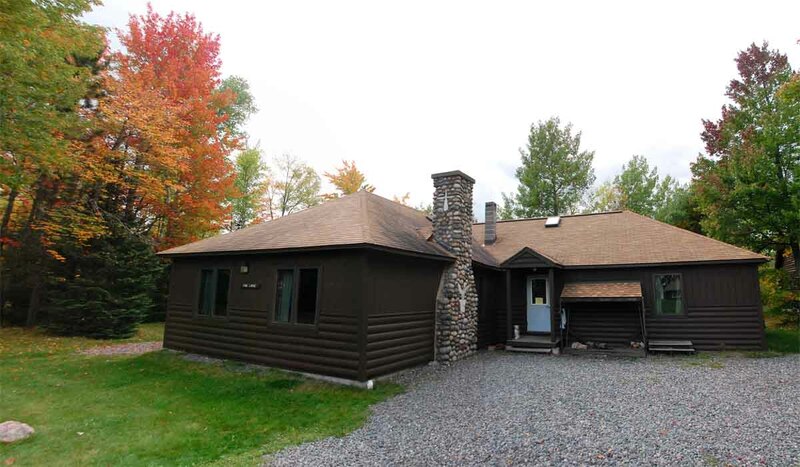 Nestled on the waterfront Maple Lodge houses 32, has three bathrooms, a common lounge with fireplace, and a beautiful view of the lake. In the summer it houses our summer staff, and throughout the year is available for families, retreat, and rental groups to utilize. The Yurts were built in the fall of 2012 to accomodate our expanding Trips program. Each Yurt sleeps eight, and has a wood stove for heat on cold summer, or winter nights. In the summer they house the trips groups as they prepare to go on trail, and be available for debrief times at the end. 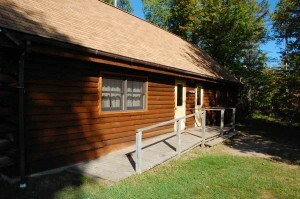 Outhouses provide close accomodations, while the Nature Building (100 yards away) provides indoor plumbing and showers. Click here to see a video of them being constructed. The chapel is used throughout the year as worship, meeting, and prayer space. It can comfortably seat up to 70 people, and has windows all around the large room for plenty of natural light pouring in from the beautiful scenic views of the lake just outside. The Squirrels Cage is a three bedroom, one bathroom house complete with kitchen, and amenities. During the summer it is used to house our speaker of the week, and throughout the year is available for rental groups. In the fall and winter, the Point offers living and meeting arrangements for up to 190 persons. Each living space is fully winterized with a bathroom, shower, and common lounge area. The Tabernacle seats up to 250 , making it ideal for worship gatherings and large meetings, as well as indoor activities including basketball, giant bowling and even roller skating (we have skates! ).